Created in 2001 by PartyGaming, Party Poker is considered one of the biggest and oldest names at Asian Poker Tour. With competitive promotions, a fantastic player base, a rewarding loyalty program, tons of special events, and a great selection of cash games and tournaments, Party Poker is the ultimate online destination for all things poker. In our Party Poker review, we'll discuss the most important pros and cons, look at the current promotions and bonuses offered at Party Poker, evaluate the various freerolls and tournaments you can enjoy on the Party Poker Network, take an in-depth look at both the software and overall graphics, provide the full range of games available at Party Poker, include the wide range of banking methods for all your deposit and withdrawal needs, and assess the level of customer support you can except while playing at this top-rated online poker room. Newly registered customers at Party Poker will not only receive a 100% match bonus up to a maximum of $500 but will also be entitled to 5 tournament tickets to the value of $40. The welcome bonus is considered one of the most generous offers in the online poker industry and can be claimed with a minimum deposit of $10. The welcome bonus will be released in increments of $10 every time you accumulate 0.12 in loyalty points. For instance, if you claim a bonus of $100, you will need to accumulate $120 worth of loyalty points to completely clear the bonus amount. You will have a total of 90 days to meet the bonus requirements. For a minimum deposit of $10, you will also receive $40 in tournament tickets, comprising of 1 x $16.50, 1 x $11.00, 1 x $7.50, 1 x $3.30, and 1 x $2.20. The $40 tournament tickets will expire after 14 days, so make sure to take advantage of the tickets that can be used on Party Poker's exclusive Mega Feeder tournaments once your account has been registered. The tournament selection at Party Poker come in all shapes and sizes, making it a very appealing option for both rookies and poker veterans. The biggest selling point is the payout structure, allowing those that don't finish first to still claim money at the end of each tournament. In fact, Party Poker will usually pay the final 15% in each tournament. The tournament schedule at Party Poker is filled with intriguing events that feature various buy-in levels, feeders for several land-based events, and satellites to bigger tournaments. The most popular tournaments that should never be missed include the $109 Main Event every Sunday with a $150,000 guaranteed prize pool, the $530 - $2,600 High Roller events, the $22 Contender every single day with a guaranteed $15,000 up for grabs, and the $215 Title Fight available every Sunday with a guaranteed prize pool of $300,000. The initial software package used by Party Poker was far below above for a long time, but thankfully the poker room made several major improvements in recent years. Poker players can now look forward to one of the fastest, sharpest, and most reliable poker clients in the online poker industry. The dark themed Party Poker software client provides all the industry standards, such as comprehensive hand histories, four-colour decks, deal-making, customizable sounds, training tables, quick seat capabilities, an assortment of unique avatars, and additional statistics. Multi-tabling is an absolute dream with Party Poker, allowing you to play on 12 different tables simultaneously with the option to resize your tables effortlessly. Cascading and tiling is also available as well as the exclusive stacking view that most players swear by. You will also be impressed by the Hot Hand alert, allowing you to receive notifications when you have a specific hand such as pocket kings or pocket aces. 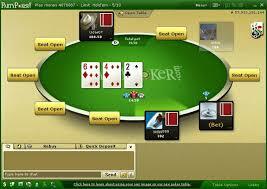 Party Poker offers an excellent range of popular poker games. Whether you're searching for a new gaming option or an old favourite to challenge your skills, you'll find a wide range of poker variations, including 7 Card Stud Hi-Lo, 7 Card Stud, Pot-Limit Omaha, Pot-Limit Omaha Hi-Lo, Pot-Limit Texas Hold'em, No-Limit Texas Hold'em, 5 Card Draw, and Caribbean Stud Poker. You can also dive into roulette and blackjack which serves as a welcoming change of pace after a difficult loss on a cash game or poker tournament. Party Poker also provides fast forward, a fast-folding format which moves you to a brand-new table every time you fold. Games like these are available on both Pot-Limit Omaha and No-Limit Texas Hold'em up to $1/$2 limits. Party Poker is home to an extensive range of banking options, including a variety of e-wallets, credit cards, and pre-paid cards along with bank transfers, wire transfers, and regular check. Most of the deposit options can also be used when it comes to making a withdrawal, and the processing of cash-in are rather quick, allowing you to receive your funds within 48 hours when using any e-wallet option, while credit card payments can take between 3 to 5 working days to reflect the funds in your account. 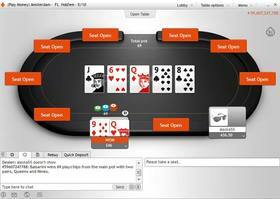 Party Poker can be reached through several contact channels, including telephone, live chat, and email. The support staff are always friendly, helpful, and very professional regardless of the medium you wish to contact them through. The site also offers a great variety of blog articles and guides to assist you with anything ranging from download and registration to improving your overall skills in poker.